Notice that there are only two countries on this list where English is spoken natively by a majority of the population: in the U.S.A. (#3) and in the U.K. (#11). And even in those countries, there are significant segments of the population for whom English is not the first language. The U.S. Census Bureau recently reported that America’s Hispanic community has grown to 55 million people – about 17% of the country’s total population – of which a majority speaks Spanish at home. Not only that. As a group, Latino Americans have been adopting digital technology (including mobile) more rapidly than the rest of the U.S. population, according to the Pew Research Center. So where are all the Spanish-speakers? After all, Spanish is the fifth most common native language in the world, with about 390 million native speakers. The answer, of course, is that the Spanish-speaking market is divided across many countries – including the United States. Beyond the U.S., if you look at a We Are Social’s January 2015 country rankings by percentage of the national population who bought something online in the past month, you find three Spanish-speaking nations: Spain in spot #10, Argentina at #17 and Mexico at #23. So the Spanish-speaking market, as a whole, ranks very high in terms of e-commerce adoption. Then there’s Canada in spot #6, an impressive ranking considering its population of barely 37 million. But if you think Canada is English-only, think again. Canada has two official languages: English and French. About a quarter of the Canadian population identifies as francophone, with the majority of French speakers living in the province of Quebec. Anyone planning to do business there should read up on the local language laws. Now you may be thinking “OK, I get it. It’s a multilingual world. But most Internet users understand at least some English, don’t they?” While it’s true that English is the most common second language that people choose to learn, levels of fluency are extremely variable. Germany certainly has a higher proportion of fluent English speakers than China, Japan or Brazil, for example. But as marketing strategies go, relying on the English skills of your potential foreign customers is not the best way forward. 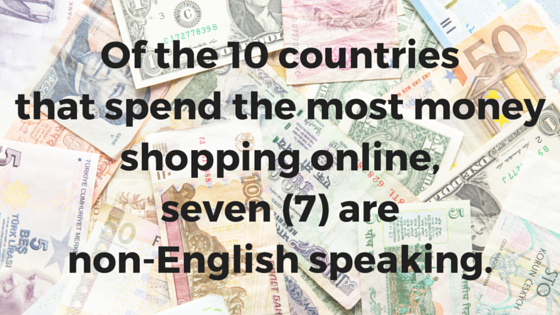 Global online consumers are increasingly sophisticated. They have more options than ever at their fingertips. 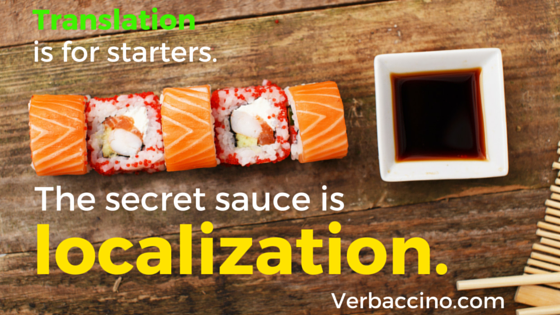 If you’re hoping to sell people a particular product or service, you have to speak their language. It’s the only way to be competitive in an online market where earning the trust of your audience is an essential first step. If you’re not even willing to communicate with people on their own terms, in a way that truly speaks to them, why should they be willing to part with their hard-earned money? 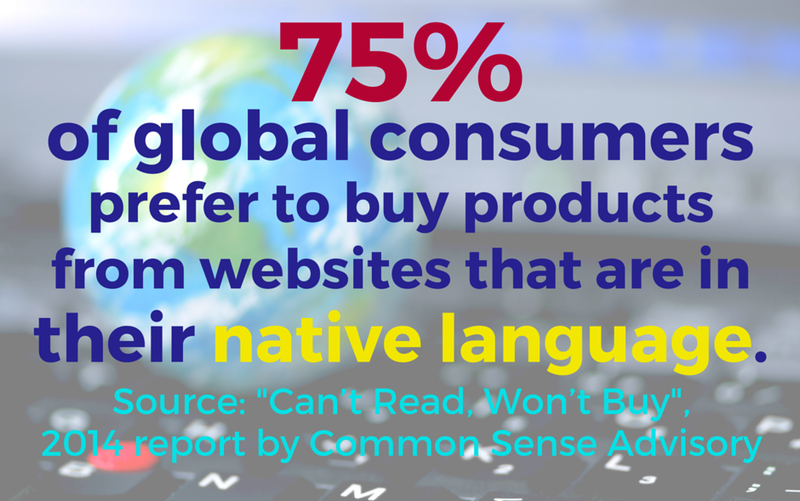 75% of global online shoppers prefer to buy from websites that are in their native language. 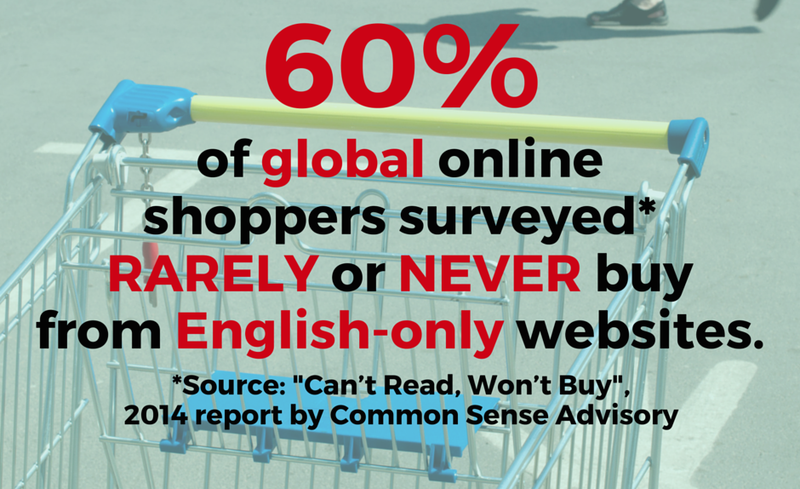 60% of global online shoppers rarely or never buy from English-only websites. What does this mean for online businesses and digital marketers? 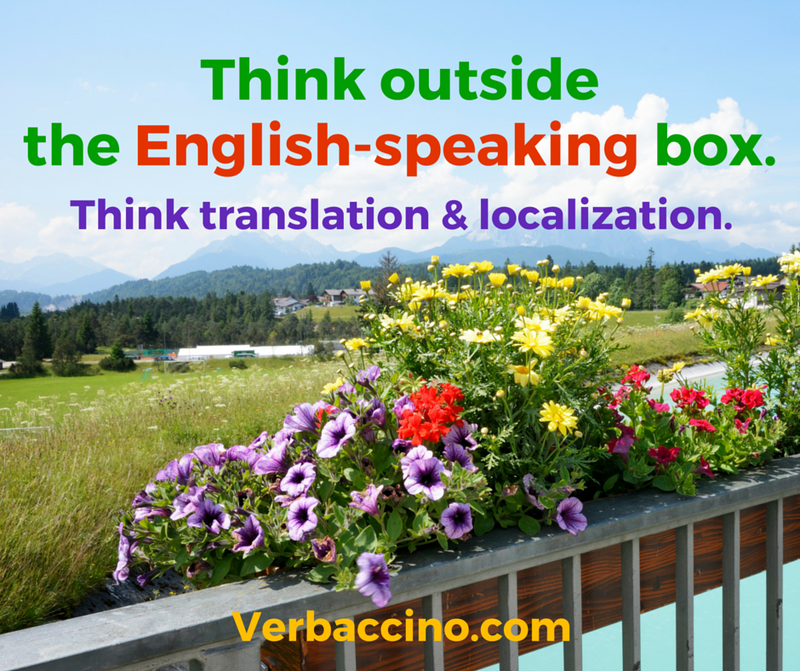 It means that it’s time for businesses to think outside the English-speaking box. The bar has been reset by sheer demographics. Businesses need to start viewing translation and localization as an investment, part and parcel of their international marketing strategy. As more and more people around the world join the ranks of Internet users and potential online shoppers, a multilingual approach will become essential to attract and retain a global audience. Today’s consumer is not limited by physical borders anymore. The businesses that choose to leverage this fact and serve customers in their native language are the businesses that will grow and thrive into 21st Century. 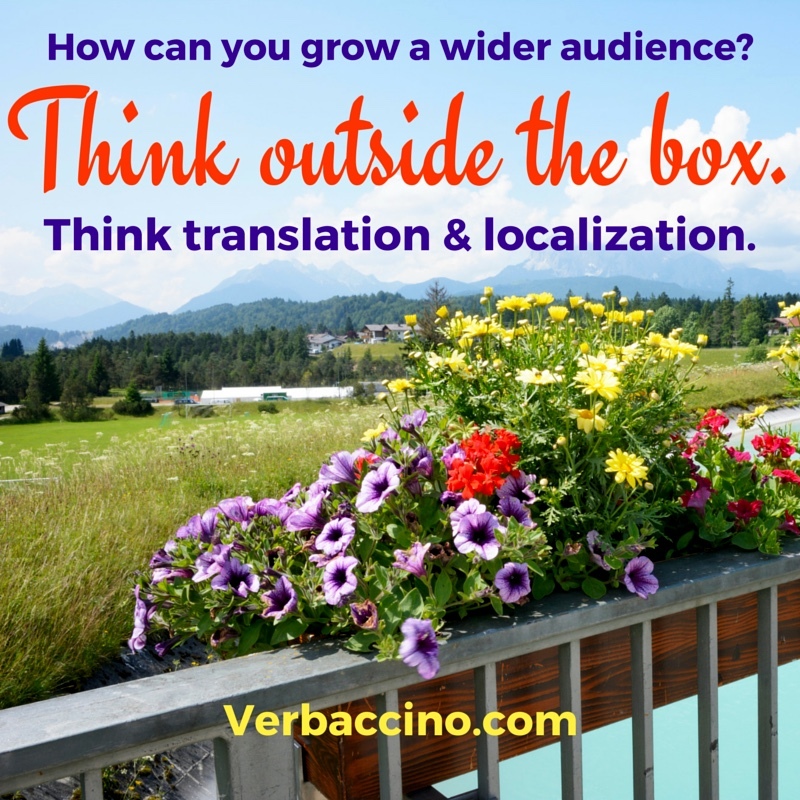 In my next blog post, I’ll talk about why translation is just the first step, and how localization is the real key to connecting with your target audience. Did you enjoy this blog post? Do you know someone who might enjoy it too? Please share it using the social share buttons, below! Also, don’t hesitate to send me your feedback. What are your thoughts on the topic? Share them in the comments section, and let’s start a conversation.